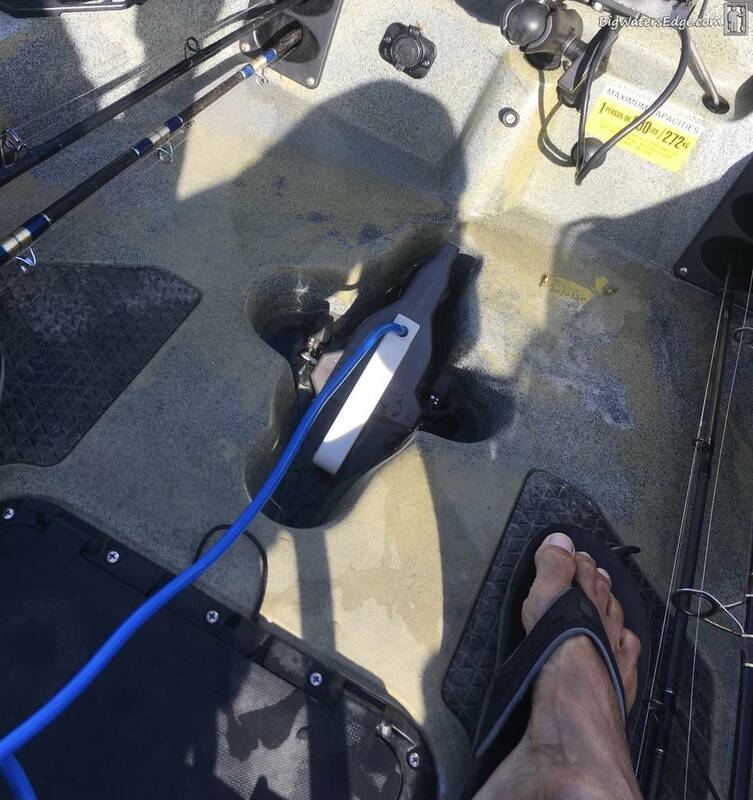 Discussion in 'Kayak Fishing Reports' started by Saba Slayer, Jun 12, 2018. I received a Bixpy Jet Motor to try out...yea...Im a lazy guy that likes to take advantage of the new technologies. It's a well thought out power unit with a lithium battery pack. 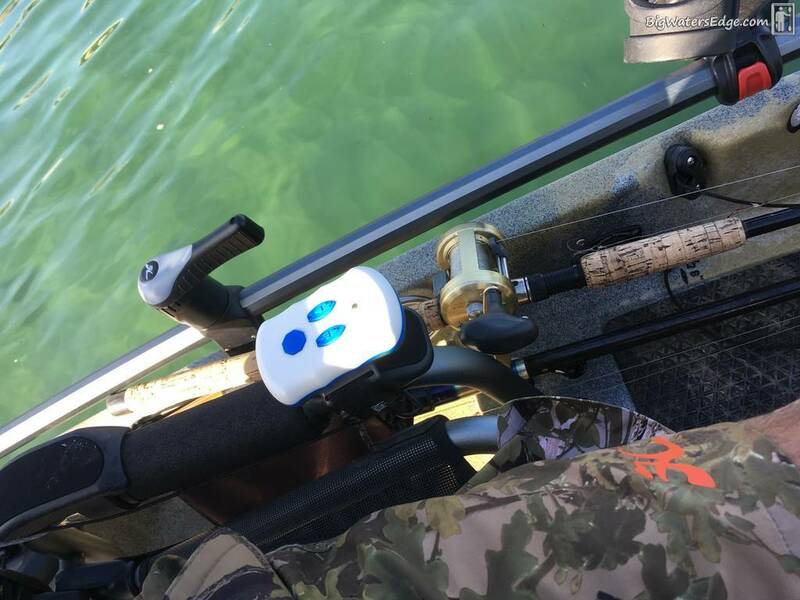 They have two options for mounting on the Pro Angler. 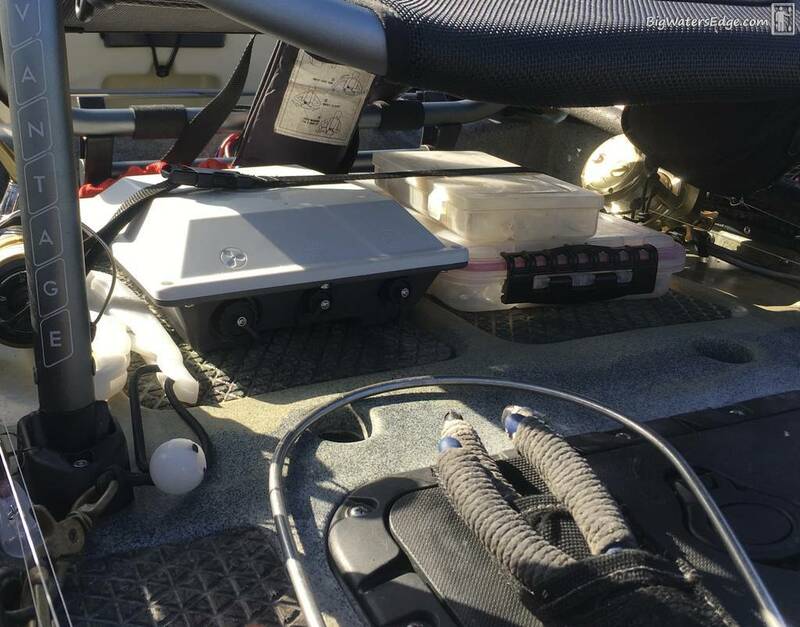 One system mounts on the back handle and the steering cover plate and has the motor at the rear of the boat. I dock launch a lot and this rig made it tough for me to drop the boat in the water with the rig sticking out so far…if you launch from a beach or lake shore this rigging method might work for you…the advantage to this rig is that you still have your Mirage Drive pedal system to add power or to have an immediate back-up...we also have a lot of eel grass and kelp around King Harbor and when it gets caught in the motor it's tough to get back there to clean it out unless you have a friend available. Bixpy's other mount is with an adapter through the Mirage Drive hole. I really liked this method better as it's so easy to pull the motor and clean it out if eel grass gets in there. The lithium battey pack is lightweight and compact for easy storage under the seat or wherever you would like to put it. …And once the Bixpy motor is installed it's amazing how much deck room there is with the Mirage Drive stashed in the back in case it's needed later. 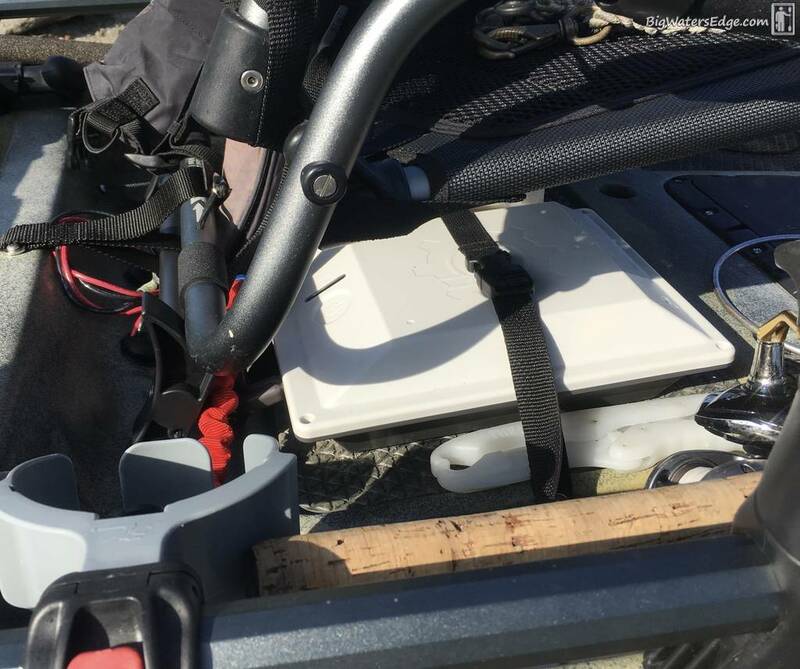 The operation of the motor is through this remote control…which is made perfectly to mount on the Hobie Vantage seat at the end of the arm rest. The Bixpy Jet pushed the PA along at about 3.6mph…peaking at 4mph. when it was calm and in the harbor. 3.5mph is the usual cadence speed of most folks when peddling normally. All in all, I was very impressed in the power of that little motor, the ease of installation, and the weight of the battery pack! I'll probably purchase another battery pack to extend the range of this cool little motor. THANKS Daniella and Human at BIXPY…!!! thanks for the info. I need something like this for my kayak. Those things are pretty sweet that is for sure. Definitely in a better price range as well then some of the other kayak motors on the market. So row that Handmade 22' V Hull Dory around... ! There are a lot of reasons to use a motor...try to be a be a little more open...you've got one on your boat... ...! Oh...is my belly showing again...!